Third world, hardly, retire to Costa Rica puts you in Central Americas country with the highest standard of living. Costa Rica has a literacy rate of 96%...higher than the United States...English is spoken everywhere. Over 50,000 Americans and Canadians already live there...so if you need to hear familiar accents...Costa Rica has a good expat base. If Costa Rica had any appeal as a place to live I would get right now guide to Costa Rica ...learn from those who live there now. Pick your climate, the beach is hot and the sand beautiful, the central mountains, where 60% of the population lives, have temps in the 70s year round...these areas are 2 hours apart. New roads are opening this year with a new airport coming soon. Retire to Costa Rica...What do you want? 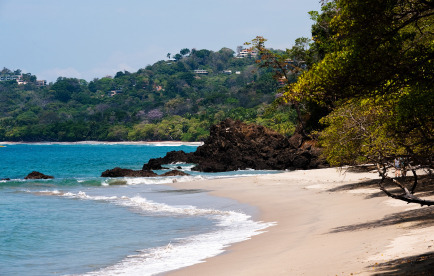 Costa Rica, with Nicarauga on the north and Panama in the south, has something for everyone. Rainforests, sport fishing, golf, great beaches are part of the attractions you can pick from. You want sunshine every day, temps in the 80s and 90s, the Pacific Coast in the NW part of costa Rica is for you. Here you can build your dream home and spend millions or get a place near the beach for $200,000. Real estate has really appreciated in this part of the country. If swanky resorts and spas are your thing, the Gold Coast is for you. You can still live here, very well, cheaper than the US...But costs in Costa Rica have risen appreciably in the last 5 years. Spring like temperatures beckon most of the population. The capital of San Jose and towns popular with expats such as Grecia, Atenas, and Orosi, these towns have a small town feel and are close enough to San Jose with its fine hospitals and shopping malls...yes Virginia, Costa Rica has shopping malls. It is also home to a thriving medical tourism business...now I know none of you fine readers need face lifts...but this is the place...I'm just saying. Retiring in Costa Rica, if this a possibility for you, take heart that 50,000 others have discovered it in the past. Not as cheap as it once was but a bargain compared to a similar lifestyle in the US.